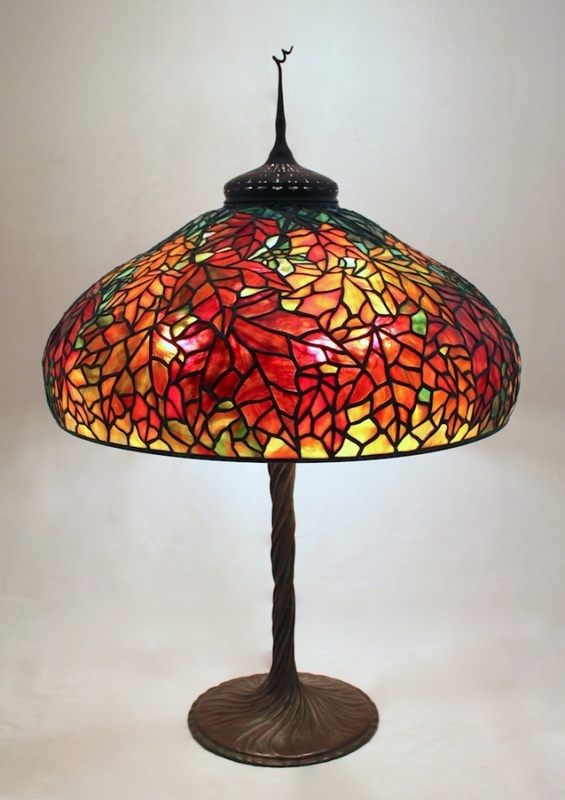 Created in 2012, the 22″ Maple Leaf is a Century Studios’ original shade design. The shade showcases the glories of fall in the Upper Midwest when the leaves brilliantly change colors. Pictured on the Twisted Vine base, this shade is now in a private collection.